Dimension: 7.25 x 9.5 in. At the request of Himalaya, Ganga decided to flow in certain parts of Ekamra Kshetra (Bhubaneswar). By constantly carrying the fragrance of many scented flowers, the river is called as Gandhabati. Gandhabati, now-a-days called as gandha nala (a drain which stinks), has immense religious/mythological, ecological significance. Its association to various other tangible and intangible resources are also significant. But today this river/stream has been abandoned to a status of a drain. Rather than looking into histriography of a place, it is more relevant to look into the memory of the same. In this process one tries to see and understand various layers of time and its byproducts overlapped with different perceptions. In the case of this water stream, one can disintegrate its memory into natural system memory, mythological memory, associational memory and built memory. Once disintegrated, one can see overlaps of various attributes of memory in the form of diverse ranges of tangible and intangible heritage resources. 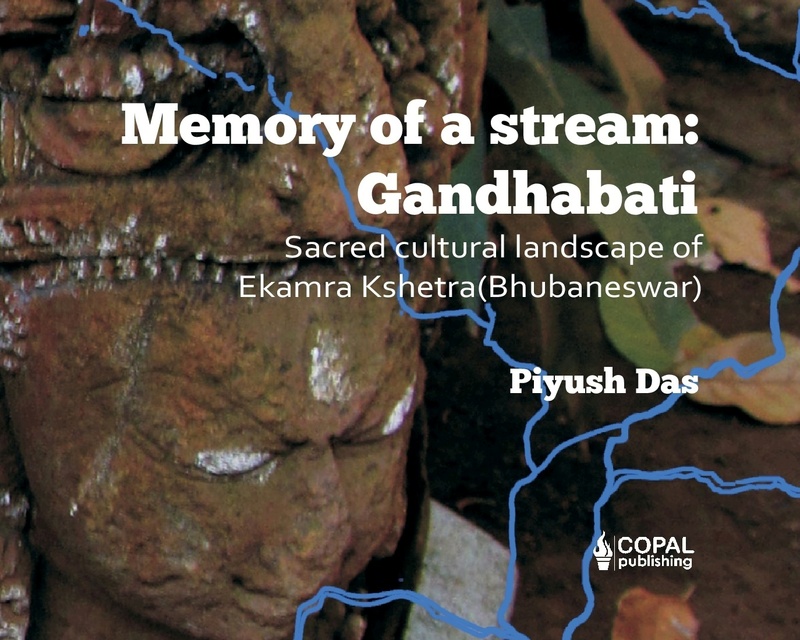 This book is an attempt to map and document various tangible and intangible heritage resources associated to the Gandhabati stream. In the process the sacred cultural landscape of Ekamra Kshetra (Bhubaneswar) is understood. been active in the research areas like redefining Indian architectural history, complex historic regions, etc.